​It’s now time to share more details about William's land and his grandson Edward BOORMAN. I have recently discovered these tithe survey records (both indexes and images of the registers and associated maps) are available on The Genealogist site by subscription - https://www.thegenealogist.co.uk/tithe - although searching the index is free. The Boorman name is listed 1,342 times in the index, although many names if not properties are usually repeated multiple times. Tithe Apportionments Register, Staplehurst, Kent, England, 1838. Plot 400 was a garden and sheds. Its unclear how Edward could “occupy” all three houses. If he was sub-letting two of them, perhaps he qualified as occupier as long as his name was still on the lease. Or did some of his extended family live in these properties? Perhaps the occupier Robert Orpin was the minister? What’s also interesting here is that, in spite of being a church, the owners still had to pay a tithe of 1£ 17s 6d to the Rector (presumable of the official Church of England that stood a short way up the hill on High Street). I am uncertain about how to accurately read the numerical columns in these registers, partly because of the excessive use of “ditto” marks, even at the top of pages. How reliable was this survey or am I not reading these numbers correctly? I have my doubts that all these plots were each over 4 acres in size. Was the tithe to the rector on the Ingram property alone really 8£ [from previous page], 18s, 6d [recorded as “ 18 6]? The total tithes payable on all 5 of the Jull plots was perhaps 8£ 3s 6d [recorded as “ 3 “]. If my understanding of this process is correct, payment of these tithes to the Rector would have been the responsibility of the land owner rather than the occupier, but would have likely been passed on to the occupier as part of their rent. Although not all parishes were included in this survey (excluded if tithes weren’t applicable in that area), these extensive tithe records are a valuable resource for many parts of England in this time period. I’m glad that Staplehurst in Kent was among those parishes surveyed, and that these entries provide insight into the extent of Edward's leased properties and status. Tithe Survey map, Staplehurst, Kent, England, 1838. ​Edward BOORMAN was Terry’s 4-times-great Uncle, the youngest son of William BOORMAN III (1746-1824) and Ann WELLER (1745-1829) and the 9th of their 10 children. His grandfather William Boorman II left extensive property in Staplehurst, Headcorn and Cranbrook (all in Kent) to his grandchildren under the care of his two children William BOORMAN and Mercy CARPENTER. After the death of these children, the properties were then to be sold or otherwise equally divided among the next generation. The information in these tithe documents confirms that Edward was not a landowner, so the Staplehurst properties inherited by his father William must have been sold, with the proceeds split about 8 ways amongst his surviving children, including Edward. Yet it was Edward who continued his father’s wheelwright business there, and probably continued to occupy at least some of these ancestral lands as tenant after his parents’ death in the 1820s, judging by the land description and proximity to the Independent Chapel. Edward married twice, first to Sarah HUCKSTED in 1808 in Maidstone Kent, and secondly to Harriet TOWN in 1845, 11 years after Sarah’s death. Edward and Sarah had at least seven known children between 1809 and 1823, only one of them a girl. Edward died in Staplehurst on 14 Jun 1858 at the age of 71, and was also buried there. Although listed on his parents’ gravestone, it is not clear if he was buried with them. They say taxes are inevitable, so I wonder what other types of taxes Edward had to pay during his life? I wouldn't be surprised if the money he inherited from his father and mother's estate was taxable. Terry’s paternal Great Aunt Alice was the sister of his grandfather Harry Eustace BOORMAN. Alice was actually named Amelia Alice BOORMAN by her parents William Scoons BOORMAN and Frances Jane “Fanny” ROBSON”. According to her birth certificate, she was born on 12 Jul 1869 at 2 Cedar Terrace in Fulham, Middlesex, England. Alice was the third of their seven children, and grew up in the London districts of Fulham and Battersea near Wandsworth, just across the Thames. Her father supported the family as a grocer, and then as a coal merchant clerk. By 1891 at the age of 21, Alice was already employed as a board school teacher. Like her older sister Lillie (Frances Eliza), she never married. Perhaps because of that, we have been able to find out some interesting details about her life. Like many in her family, Alice emigrated to the west coast of Canada - my home town of Victoria BC - sometime between 1892 and 1896. Probably in 1894 if the 1901 census is to be believed, or in 1895 according the 1911 census. Although she was not listed individually in the city directories in this period, she was mentioned in the Victoria Times Colonist newspaper on 29 July 1896, page 6, as “Entitled to Teach - Results of the Recent Annual Examination for Teachers’ Certificates … qualification to teach in the public schools of British Columbia”. Examinations were held starting on 3 July. Alice was granted one of the 17 “Third Class Grade A Certificates, Maximum Marks 1950. Boorman Alice A, [mark] 1114”. She was 10th in her class. On 27 May 1897, Alice attended the wedding of her older sister Henrietta BOORMAN to their maternal cousin Jim ROBSON. I have previously written about this Victoria wedding and the large group photo showing many family members, most still unidentified. Many many years after this event, a grandchild wrote a caption on the back of the photo. It says, in part “Granny's Maid of Honour -- directly behind her and her two Brides-Maids.” Unfortunately no names for them are known with certainty. But we know from the marriage registration document that the witnesses were Walter Wm BOORMAN and Alice A BOORMAN, both of Victoria. They were both siblings of the bride and cousins of the groom, and likely the names of the Best Man and the Maid of Honour. But Alice could have been any of the three woman attendants standing behind the bride in this cropped version of the photo. Alice Amelia BOORMAN was probably the Maid of Honour at her sister Henrietta's wedding in 1897. But which of the three attendants is she? Alice had three sisters (as well as three brothers), so it seems likely that the bride and the three attendants were all siblings (however some could be the groom’s sister(s) instead - he had four of them). Alice’s oldest sister Frances (known as Lillie) stayed behind in England when the family emigrated to Canada, and was operating a lodging house on the Isle of Wight in 1901. Did she make the long journey to western Canada in 1897 to attend the wedding before returning to England? Perhaps not, as it was such a long way. No such travel records can be found for her or any of the family traveling to Canada in the 1890s. Alice's youngest sister Kate is still quite a mystery; according to the 1901 census Kate was living in Victoria with her brother William and his young family. Kate’s birthdate is incorrectly recorded, but she is listed as William's sister. It also says that both William and Kate immigrated in 1889. But Kate (born Oct 1877) would have been only eleven or twelve at that time, and it seems unlikely that her parents (who didn't emigrate until about 1894) would have entrusted her care in a new country to their son who was barely 18 in 1889. Regardless, it seems probable that Kate was already in Canada in 1897 and attended her sister’s wedding as a bridesmaid, age 19. Alice was said to be age 30 in 1901, living with her parents (a little vanity is allowed as she would have been almost 32). Their street address is not provided in the census, but directories list the males at least at 129 Michigan in the James Bay area. In 1907, Alice would have been greatly sadden by the lost of her oldest brother Walter William BOORMAN due to typhoid. She was listed as “Miss Boorman of Victoria” in Walter’s obituary. Only three sisters were mentioned, so what happened to the fourth? Then in 1909 her father died of cancer: another painful loss for Alice and the family. The program started off with woodworking (“manual training”) for the boys, but quickly expanded to include classes in drawing, design and colour work. Domestic science and then needlework were also introduced for the girls. This required extra training for the teachers, who were often ill prepared to teach these subjects. no doubt arranged and taught by Miss Alice Boorman. ….That Miss Boorman’s salary be increased by $30 per annum. Miss Boorman of 1328 Alfred Street will resume her sewing classes on Saturday next. Most Handsome toilet set – Alice A. Boorman, Victoria. Another time she might have helped out at the fair? 1908 British Colonist September 23 1908 page 014 THE EXHIBITION IS UNDER WAY (cont. from page two) ….supervision of Miss Boorman the teacher of various grades. The name of Alice Boorman is included in the list of the names of women who voted against removing the names of women from the voters lists. The following notice may just be announcing a summer holiday? Or was this break health related? Miss Boorman will not receive this Friday, nor until the first Friday in September. In the 1910 city directory, Alice was living at 1328 Fisguard with her brother Albert and family. 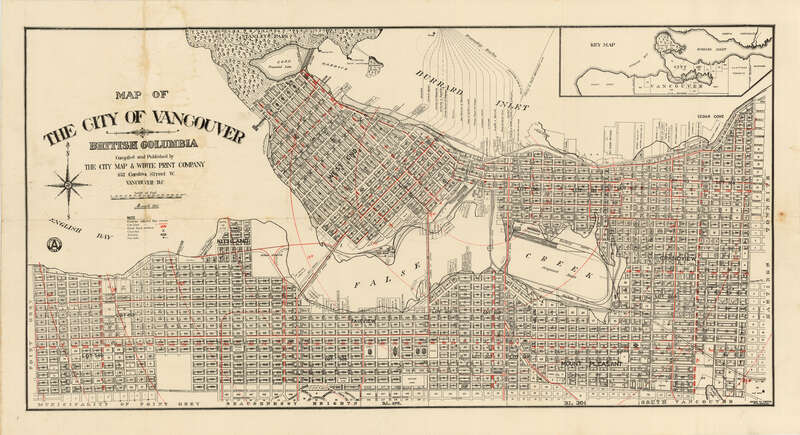 In the 1911 census, Alice was living with her widowed mother at 1324 Fisguard (now Balmoral) in the Fernwood area of Victoria, and next door to her brother Albert and his young family. In 1913 and 1915 directories her address was listed as 1324 Fisguard. The Fernwood News would like to thank Jennifer Barr and the Victoria Heritage Foundation for their assistance. Victoria's Heritage Neighbourhoods, Volume One (Fernwood and Victoria West) is published by the Victoria Heritage Foundation, 2004. Copies of this volume and Volume Two (James Bay) are available at local bookstores. As noted in the above article as well as in her obituary and death registration, Alice sadly died on 13 Jun 1918 in Victoria’s Royal Jubilee Hospital following surgery for a "ruptured gastric ulcer". I am wondering if she had an overly nervous personality, or did she find her job and recent family losses so stressful that she developed an ulcer? The informant for her death was her brother Albert S BOORMAN who said she was living at 1328 Balmoral. Had she moved back to this old address, or was she still next door at 1324 with her mother? Perhaps in his grief, the number 1328 came more readily to mind? He may not have been the most reliable informant, as he "could not say" what his sister's birthdate was, and also said that Alice had been in Victoria and Canada for only 15 years. In fact it was at least 22 years. She was only 48 years old when died, at much too young an age. Alice was one of the BOORMAN family members buried in the historic Ross Bay Cemetery, fairly close to home. The barque `Gladys' at Calliope Dock, Stanley Bay, Devonport, Auckland, circa 1903. Photograph taken by Henry Winkelmann. and was the Chairman of the Harbour Board in 1881 and 1882. He died there in 1890, 13 years before this photo was taken. Some families get more than their fair share of misfortune. Such was the case for Ernest Frederick COMPTON, my maternal Great-Great-Great Uncle, oldest brother of my Great-Great-Grandfather George COMPTON (who married Eliza Pring COMPTON). He had been listed for some time in my family tree, based on the scanty information found in his baptismal index, and in a published family history book “The Hazard Family of Rhode Island, 1635-1894: Being a Genealogy and History of the Descendants of Thomas Hazard ... “, written in 1896 by Caroline Elizabeth Robinson. He moved to Melbourne, Victoria, Australia and embarked in business. About 1872 he settled in Auckland, New Zealand, where he erected the substantial buildings in which he carried on business until his death. He was managing director of the Auckland Tug Company, and was for several years a member of the Harbor Board, and Chairman in 1881 and 1882. He died leaving a widow, 2 sons and a daughter. I knew nothing else about about his wife and family, or his life. My first impression was that he had a good life with success in business and a small but loving family. But it pays to dig further. I have only recently learned more of his story from a woman in Australia who has been researching these Compton’s for her husband’s relative, and has kindly shared some of her information and recent discoveries. Thank you Janice! In his early life Mr Compton was at sea on Nova Scotian vessels for some time, and there gained that practical maritime experience which proved so useful to him in after life. Mr Compton leaves a widow, two sons, and a daughter. About a year ago, his second son died. His eldest son is now in business in San Francisco. These biographies definitely focus on his achievements and career, with his family only mentioned as an apparent afterthought only by number, not by name. And to add insult to injury, his funeral notice listed all the dignitaries and even what carriage they drove in to the funeral (all were male, including “Master Compton”), but his wife and daughter weren’t even mentioned. But surely they attended the funeral? They must not have been newsworthy enough in this Victoria era! Ernest Frederick’s death at the age of 62 was caused by a sudden heart attack during dinner. The misfortune here was that he died too young. And although he had a known heart condition, he seemed to be on the mend at the time of his collapse. But as it turns out, there was a lot of family-related tragedy in his life that wasn’t mentioned in his obituary. We don’t yet know exactly when Ernest emigrated to San Francisco USA and then to Australia. By 1863 he was in Australia, still single and listed as departing Melbourne Australia for Sydney Australia. Sometime in 1864 he married Emma Louisa ABBOTT (although one index I found lists her first name as Donna). They were married in Tumut, New South Wales. Ernest would have been age 36. 1866 - Their first son Ernest Spencer COMPTON was born in 1866 in Balmain Dist and died that same year in the Albury Dist of New South Wales, Australia. 1867 - Their second son William Spencer COMPTON was born in 1867 in Albury Dist NSW, and survived his father. He was the “oldest son” listed in his father’s obituary, then living in San Francisco. He may also have been the one who worked aboard ship as a cook, travelling regularly between San Francisco and the southern colonies. 1869 - Their third son George Frederick COMPTON was born in 1869. He died 7 months later in 1870. 1871 - Their fourth son Thomas COMPTON was born in 1871. According to his death notice in the Auckland Starr, published 13 March 1889, he died of typhoid at the age of 19 (probably 18). This was the year before his father’s death. 1872 - Their fifth child and first daughter was Emma Louisa, born 1872 and died age 10 months (although the index says 10 years). 1874? - I haven’t yet proven that they had another daughter, also named Emma Louisa, reportedly born 1874 and died 10 months later (no supporting index entries). 1876 - Their next child born in 1876 was Ernest Frederick Jr. who we think outlived his father. 1878 - Daughter Maud (middle name Slevna, Plevna, or Plona?) was born in 1878. She was only 12 when her father died. 1879 - Their youngest child was Elizabeth Florence, born 1879 and died the same year when only 4 months old. Out of 8 or 9 children, only 3 were living in 1890 according to Ernest’s obituary (those would be William Spencer, Ernest Jr and Maud). One died in his late teens the year before his father (that would be Thomas). The remaining 4 or 5 all died as infants. Considering that the infant mortality rate for New Zealand in this time frame is considered to be 8% to 12%, this family’s 50% loss (or more) was way off the charts. The word “misfortune” doesn’t even touch the amount of anguish and hardship this family faced. Their money, business success and high social standing paled in comparison at such times. This family's onslaught of grief certainly makes me count my own blessings. Is it any wonder that his widow Emma took her 2 underaged children back to Australia soon after Ernest died to try and put the past behind them? The search for more connections and stories about Ernest and Emma and their descendants continue, in collaboration with Australian researchers. More information on my COMPTON line can be found on my COMPTON page.